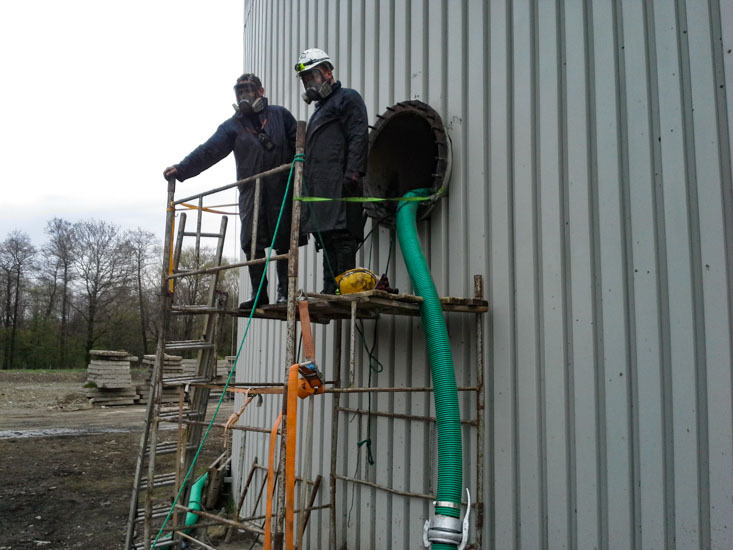 Industrial cleaning of digestion chambers, Imhoff Tanks, with the special pump. 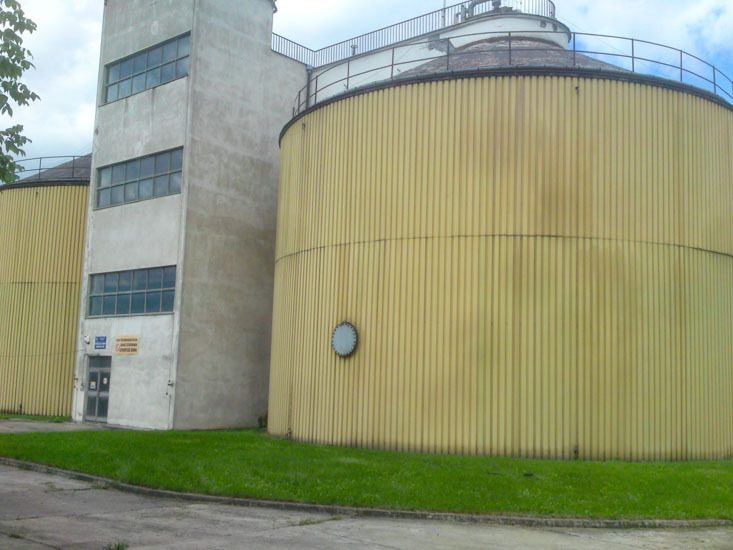 Removal of material accumulated at the bottom of the tank in the form of struvite (mineralized sediment and solids). During the operation, in the separated fermentation chambers, struvite deposits can accumulate. 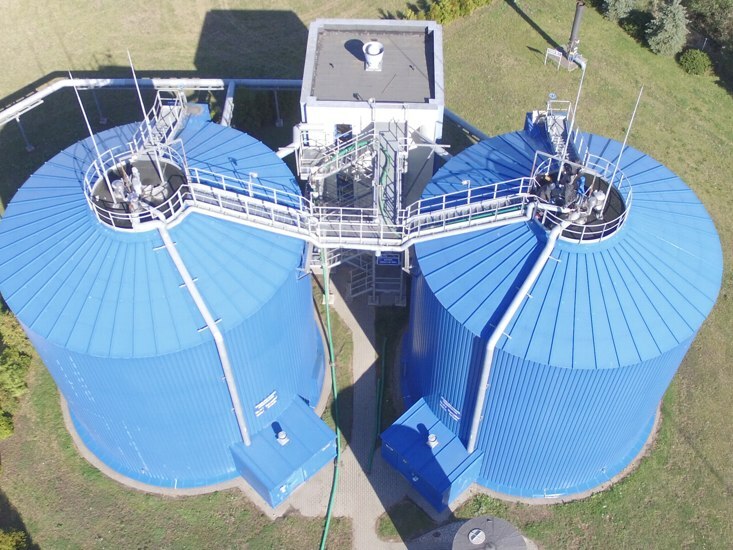 Years of operation lead to a gradual decrease in the volume of the active digestion chamber and subsequently affect the efficiency of biogas production. 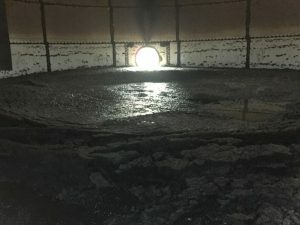 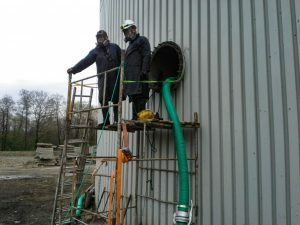 Industrial cleaning of the tank restores its original performance. 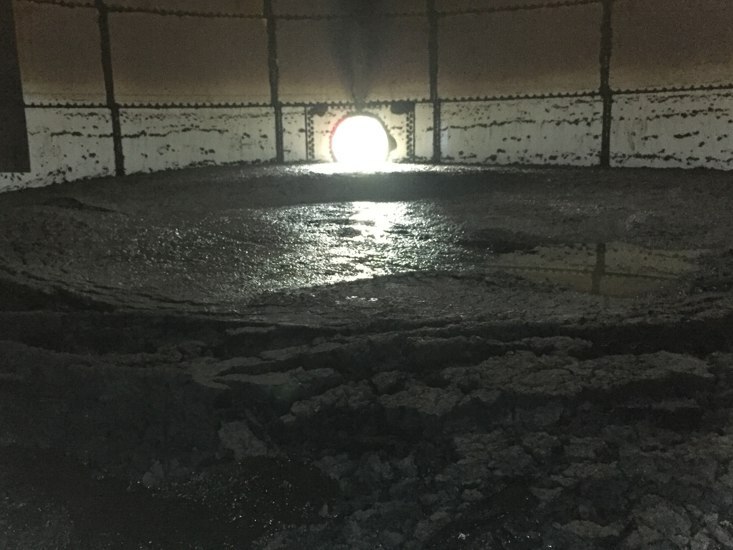 Struvite deposits (sand and other solids) lead to operational problems and increase the wear on parts of pumps, pipelines and decanter centrifuges. 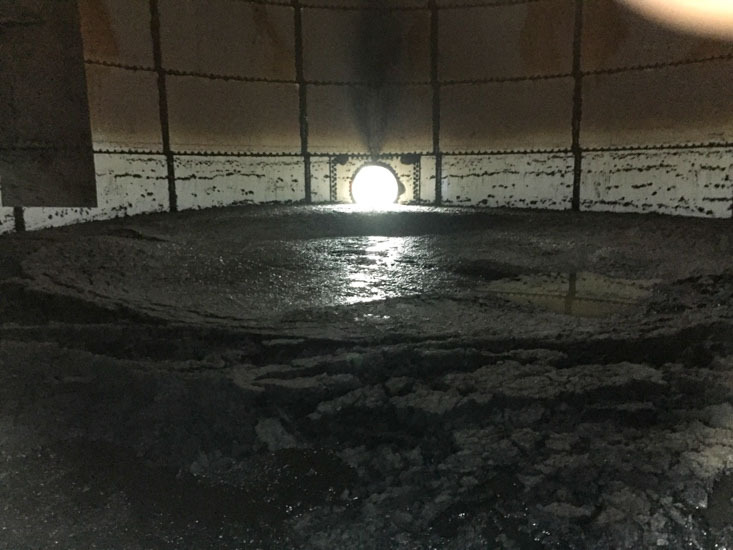 Using our dewatering and industrial cleaning technology you will reduce the cost of digester cleaning by half. 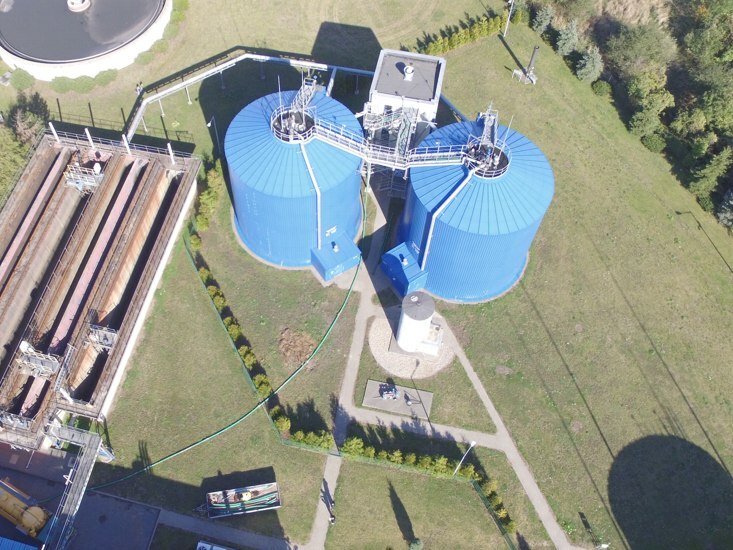 The weight and volume reduction of dewatered sediments, with the use our filter presses, will reduce transport and handling costs.